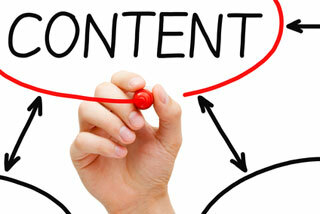 What is Content Marketing? Strategy definition and optimisation services. Content Marketing means creating thematic contents to capture qualified traffic for the own website and increase visits according to business objectives. 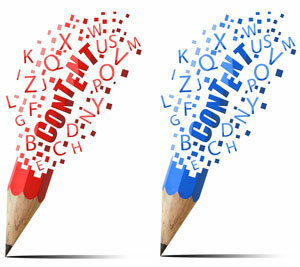 Content Marketing is an inbound marketing technique, a definition that makes more evident the aim of attracting leads and prospects for the own products and services by means of valuable informative or entertaining contents. Producing SEO optimised contents is unquestionably the best way to rank well on Google’s search results. In order to plan a good content marketing strategy it is needed to have in mind a clear target and what topics are to arouse interest and attention. If the target is large will be useful to split it into groups based on “personas” (well defined profiles) such as to be able to schedule content production accordingly. Rely on copywriters and web marketing experts with SEO skills to develop an effective content marketing plan. When target and topics have been defined it is time to choose the most suitable formats to communicate with the targeted groups: web pages, pdf documents, videos, slides, podcast, infographics, etc. Formats are choosen according to the target and type of content; different types of formats can be used at the same time. Internet and particularly social channels (social networks, forum, online communities, blogs, etc.) allow to spread out information, contents and advertising messages with an unprecedented speed and pervasiveness. 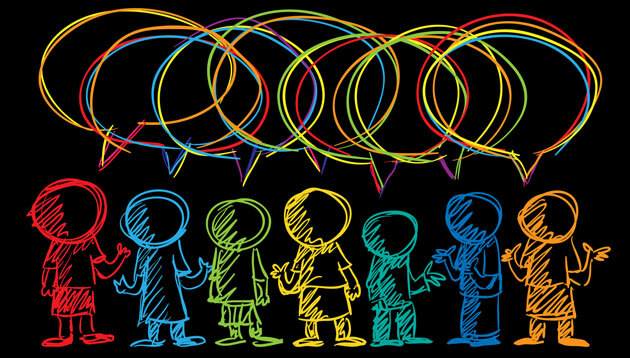 Sharing functions available in nearly all social media profiles and mobile applications make of the conversational and relational marketing an activity much more actual and dynamic compared to pre-internet era, when widespread brand awareness and trust diffusion depended on the inescapable slowness of the word of mouth. Content Marketing, as well as blog marketing, is a non-conventional marketing strategy which should aim to exploit the viral potential provided by social technologies. Who chooses to promote his business through original and engaging contents should ideally aim at making each content (article, post, video, pdf, photo, infographic, etc.) a product worthy of viral spreading. The more valuable the produced material is the more it will spread out by the very users through spontaneous sharing. 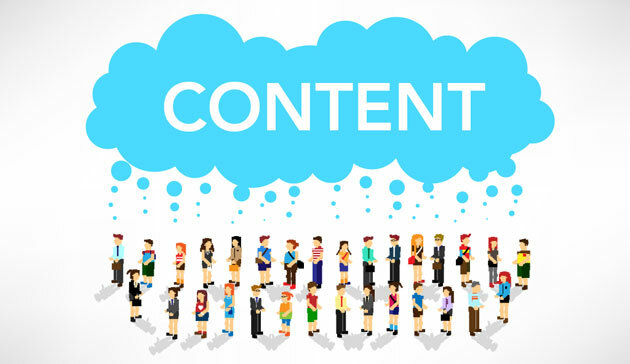 This way content marketing includes an unlimited potentiality to evolve into viral marketing amplifing outstandingly the company’s promotional communication. Youtube has made viral videos a reality within range of anybody; Facebook allows to share compelling messages with a big audience; Twitter to launch news at a speed that makes us smiling. Milions of bloggers all over the world share and broadcast informative contents, almost in real time, turning internet into a global flipper. Who has added value to inject into the net finds in blog marketing a terrific promotional weapon. One of the most crucial factors for search engine ranking is the number and quality of links proceeding from other internet websites, deed that search engines interpret as a signal that the website getting backlinks is popular and valuable. For this reason over the years SEO specialists have developed numerous techniques (black hat) to multiply backlinks to artificially pumping up the score of their clients’ website. This kind of link building based on poor quality backlinks has worked until Google has operated a series of updates to its algorithms that are now capable of penalising these techniques and recognising the webpages’ real informative value. Consider the impact of Google Panda 4 on eBay which, after the update, lost an impressive amount of web traffic. Besides google all search engines are improving their ability to appraise contents and backlinks bringing about a shift towards quality content marketing. This does not mean that links have lost relevance as a factor to improve websites’ ranking, rather, more simply, search engines are already enough good at evaluating backlinks authenticity and websites’ contents. Social citations must be included among authentic backlinks as signals of appreciation proceeding from social channels. Here is one of the reasons why also social media marketing is growing in importance, pushing companies to acquire new followers and boosting engagement. Consequently, highly original valuable contents whip up users’ engagement, foster virality and, finally, produce social citations. All this movement turns itself into brand marketing and real traffic to the website. In this way, content marketing borders on link baiting or link earning: creating contents that raise interest to get backlinks and improve website ranking. SEO optimisation and Content Marketing are forms of inbound marketing that aim to increase website’s visitors without direct investments on online advertising. Running a company’s blog is a great solution to carry out a content marketing strategy and building up an audience of followers and contributors. Finally, valuable contents, well ranked in engines results and promoted on social networks, reach visibility and trigger virality which, in turn, multiply social citations and backlink across the net producing a virtuous circle with content marketing in the middle. For sure content marketing results change based on sector and business: for a chemical firm is more complicated leverage the web through contents, but think of the extraordinary results produced by tourism online marketing when exploiting blog marketing strategies. The content is king as well in sectors like: clothing, food, internet, entertainment, culture and others. 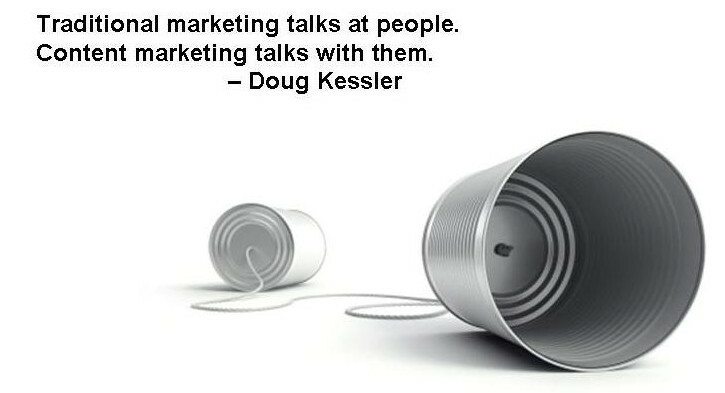 Storytelling is a great way to capture attention and transmit brand value. To conclude, content marketing and SEO are two sides of the same coin: companies and professionals with both time and resources to spend in these activities can achieve great lasting results and, in the medium-long term, save in digital advertising costs. The following infographic shows 10 relevant points to enhance your blog content strategy so as to rank higher on search engines while improving quality and effectiveness for users. When a company realises the great opportunity provided by blog marketing and content marketing in its broadest meaning (including the creation of other formats of contents like videos, slides, pdfs, infographics) is time to define a plan and allocate resources. outofseo offers consulting services to localise a content marketing strategy in multiple countries and languages. For further information contact the online marketing consultant.